2 What is low porosity hair? 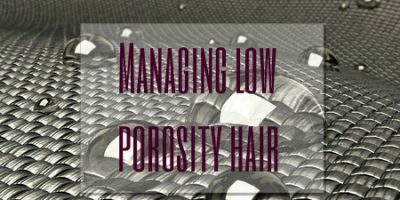 At the beginning of this series on hair porosity, I discussed what hair porosity is and how to determine your hair porosity. If you are interested, you can read those posts first before proceeding. Low porosity hair doesn’t absorb water very readily and therefore has a tendency to feel dry. 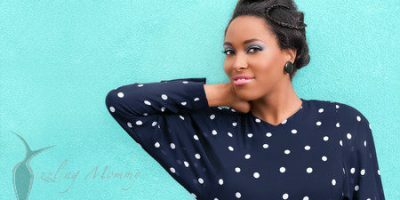 This feeling of dryness might make people with low porosity hair to pile on hair products in an effort to moisturize and soften it. Unfortunately, the product sits on the hair strands instead of being absorbed by the hair, and this can result in product buildup. Low porosity hair is also relatively more resistant to chemical treatments than other hair types. The good thing about low porosity hair, however, is that when it does absorb water, it is able to retain it for longer than high and normal porosity hair types. Avoiding/limiting use of products that increase your hair’s porosity. 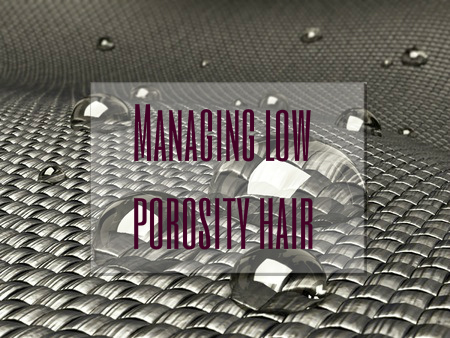 Getting low porosity hair to absorb moisture (very important). Taking into consideration the thickness of your strands: fine, normal or coarse. You might need to stay away from coconut oil and maybe coconut derivatives like coconut milk. When you use products containing these ingredients, observe how your hair responds. Protein-containing products. These can cause your hair to harden. Use with caution. If/when you do want to do a protein treatment, use products containing hydrolyzed keratin, hydrolyzed wheat protein and/or silk amino acids. Avoid the use of very low pH products like apple cider vinegar which can seal your cuticles and reduce product absorption. Do a pre-shampoo (pre-poo) treatment using absorbent oils such as olive or avocado oil. Although coconut oil is absorbent, use with caution because it might harden your hair because of its protein-like characteristics. Clarify your hair at least once a month and shampoo your hair thoroughly on each wash day. This helps to remove any product buildup and encourage absorption of any further products to be applied. Water down your deep conditioner to increase absorption. Deep condition with heat. This also helps increase product absorption. If you don’t do this, you might have product just sitting on top of your hair strands. Using steam has a added benefit of moisturizing your hair while providing heat. Home-made deep conditioners using bananas. Bananas are highly moisturizing. Make sure you blend as smoothly as possible or just use baby food. If your hair is not protein-sensitive, you can use products containing hydrolyzed wheat protein which has a dual function of strengthening and moisturizing you’d hair simultaneously. Use humectants in your deep conditioners and in leave-in products. Humectants attract and preserve moisture. Examples include aloe vera gel, vegetable glycerine, agave nectar, molasses and honey, flaxseed gel (linseed) or okra gel (homemade), pectin, hydroxyethylcellulose, marshmallow root, slippery elm, panthenol, xanthan gum, glycine betaine (beet extract, sugar cane extract), seaweed extract or Irish moss extract. Another not so natural example is propylene glycol. Although egg yolk and egg whites are said to be humectants, use with caution if your hair is low porosity. Use light-weight leave-in conditioners and moisturizers. Apply your leave-in products on damp hair. Just squeeze out the excess water and apply your leave-ins. Don’t apply to hair that has started to dry. Rewet your hair again with water if this has happened. ‘Baggying’ your hair can help increase product absorption. What this means is covering your hair with a plastic cap after applying your leave-in conditioner or hair moisturizer. Leave the cap on for about 30 minutes to 2 hours or more, depending on how quickly your hair absorbs the moisture. Use a hydrating spray to refresh your hair in between wash days. As much as possible, ensure it contains humectants like I mentioned in the preceding section. Seal with light to moderately heavy oils depending on the thickness of your hair strands. If your strands are fine, then seal with light oils like jojoba or grapeseed oils. If you have normal or coarse hair, you can seal with moderately dense oils like sunflower, apricot kernel and sweet almond oils. Argan oil can be used by fine and coarse hair strands. Very dense oils like castor oil might sit on your strands. The same goes for heavy butters like shea butter. Use them lightly because they might end up sitting on your strands. The only time you should use heavy oils or butters is when they are mixed into a conditioner or when doing a style (e.g twists, braids, etc). Don’t apply oil to your hair if it is not adequately moisturized. I took my time to read the ingredients of each of the products below and I think they should be good for low porosity hair. They are mostly protein and coconut oil-free. Blue Roze Beauty Strawberry Hibiscus Deep Conditioner (If you have fine hair, this should be okay but might be too light for more coarse strands). Do take note that these are just recommendations. The ultimate determinant is how your hair responds to a particular product or ingredient. For example, a product that is geared towards high porosity hair might work better for your low porosity hair and vice versa. Learn how to read your hair by keeping a journal. Secondly, don’t introduce too many products at the same time so that you can track your hair’s reaction to each product. I’m so glad you found the post helpful! I also applied these tips for my daughter’s low porosity hair and it is doing better. Hi Dr Fomsky, Great article about hair porosity! Thanks for sharing your knowledge with your readers. This will help a lot of girls struggling with low porosity hair. Congratulations for the good job! Good Job Dr Fomsky! Very detailed and helpful post. I appreciate the work put into this.